London/Singapore – November 12 2018: GTR Ventures, the world’s first investment and venture-building platform specialised in trade and supply chain, has announced three new deals with Lucidity, iLoan and RM-Tech. 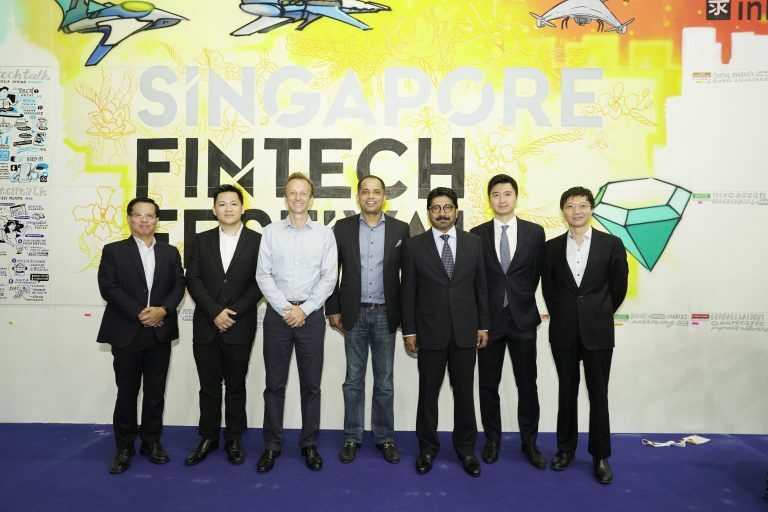 These three investments, representing an expanded pivot towards markets in China and South Asia, were announced on the first day of the Singapore Fintech Festival, the world’s largest fintech gathering. Lucidity is a trade finance documentation solutions provider that employs automation and machine learning to improve efficiencies in manual paperwork such as letters of credit, allowing exporters to get paid faster and improve their productivity. Lucidity also enables automation in trade finance compliance checks for banks, helping them to reduce operational costs as well as lower their risks against the global backdrop of increasing compliance oversight. Lucidity is backed by PSA unboXed, the corporate venture capital arm of Singapore’s global port operator PSA International. iLoan provides blockchain solutions for loans to SMEs, wholesalers and distributors. Its technology allows lenders to reduce invoice fraud, lower processing costs and have efficient traceability of each transaction. iLoan is a part of John Keells X, which is a startup accelerator designed to support early stage startups, initiated by John Keells Group, Sri Lanka’s largest business conglomerate. According to an Asian Development Bank (ADB) study, emerging Asia constitutes 40% of the global US$1.5tn trade finance gap. Meanwhile, a World Bank study on SME finance attributes the working capital gap at US$2.6tn. Adding to these finance gaps are the legal complexities, FX risk, and overall costs of cross-border payments that make it difficult for SMEs in emerging Asia to quickly and cost-effectively make payments globally. RM-Tech is a fintech solution provider to banks, corporates, and business-to-business (B2B) portals. Its product suite allows for multi-channel payments and unparalleled connectivity to banks for clearing and settlement services. Connected to seven banks in China, it has over 300 Chinese customers and processes over RMB100mn of transactions each month. RM-Tech is working with GTR Ventures to offer cost-efficient cross-border B2B payment services from its existing network of banks and Chinese exporters. PSA unboXed is the corporate innovation and venture capital arm of PSA International. PSA unboXed seeks to harness technology and innovation from startups with a focus on ports, maritime, logistics and containerised cargo flow. PSA International is a leading global port group handling about 64mn containers (TEUs) out of 700mn globally, with port projects spanning across Asia, Europe and the Americas. Lucidity provides automation and digitalisation solutions for supply-side documentation, ranging from transaction origination to electronic bill of lading (BL) solutions for exporters and traders. Going beyond digitised documents, the company employs machine learning to solve one of the most important challenges surrounding trade documentation ‑ its deep reliance on human experience and comprehension. Lucidity allows financial institutions to compete and stay ahead of their competitors in today’s increasingly cost-conscious macro-environment. John Keells Holdings PLC (JKH) is Sri Lanka’s largest listed conglomerate in the Colombo Stock Exchange. From managing hotels and resorts in Sri Lanka and the Maldives to providing port, marine fuel and logistics services to IT solutions, manufacturing of food and beverages to running a chain of supermarkets, tea broking to stock broking, life insurance and banking to real estate, JKH has made its presence felt in virtually every major sphere of the economy. JKH is a full member of the World Economic Forum and having issued Global Depository Receipts on the Luxemburg Stock Exchange, was the first Sri Lankan company to be listed overseas. With a rich history of over 150 years, since modest beginnings as a produce and exchange broker in the early 1870s, JKH has been known to constantly re-invent, re-align and reposition ourselves in exploring new avenues of growth. Founded in 2017, iloan is an emerging fintech company that provides access to working capital for micro and SMEs in South Asian frontier markets. It has developed a proprietary loan aggregation engine and invoice verification protocol using distributed ledger technology to enhance transparency on underlying loan assets for financial institutions. RM-Tech is a fintech company based in Guangzhou, China. Connected to seven banks in China, it provides enterprises and B2B portals with a payment, accounts and settlement platform, as well as enabling low-cost financing. RM-Tech has processed over RMB1bn of transactions to date and processes over RMB100mn-worth each month.